This article intends to provide an overview on the philosophical and geographical background of geo-ontologies and to propose a geographical classification of these ontologies, in response to their increasing diffusion within the contemporary debate. 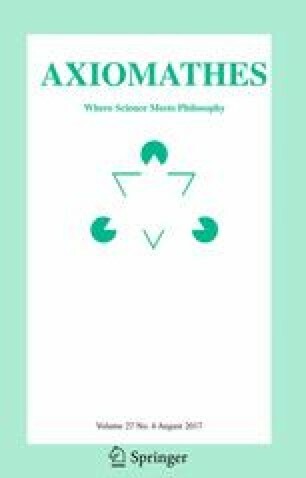 Accordingly, the first two paragraphs are devoted to offer a short introduction to the ontological turn in philosophy and to the development of the ontology of geography, that is that part of the (philosophical) ontology mainly focused on geographic entities and their boundaries, spatial representation, meretopological relations and location. As a second step, this preliminary analysis is taken to be a helpful device in showing some philosophical tools useful for geo-ontologies and in determining whether and what geographical sub-areas can be identified from non-professional geographers. Consequently, paragraphs three and four investigate the emerging of geo-ontologies from the spatial turn and their general aims. Part of this inquiry is dedicated to show some taxonomies derived from the domain of computer and information science and to underline the absence of a classification suitable for spreading geo-ontologies in the geographical debate. As it is, the fifth paragraph is concerned with a taxonomy for geo-ontologies grounded on some fundamental geographical distinctions. The basic idea is that such a taxonomy might best introduce geo-ontologies to the geographical debate that, in turn, might deeply influence the advancement of these ontologies in terms of conceptualizations and trace gradually the guidelines for a classification, in which the development of geo-ontologies would follow all the different sub-disciplines within the same geography. Parts of this article draw on previous material. In particular, Sects. 1 and 2 have some overlaps with Tambassi (2016) while Sect. 5 has some overlaps with Tambassi and Magro (2015) and Tambassi (2016). Thanks are due to Maurizio Lana, Giulia Lasagni, Diego Magro and Achille Varzi for providing comments and feedback, and for their invaluable support.